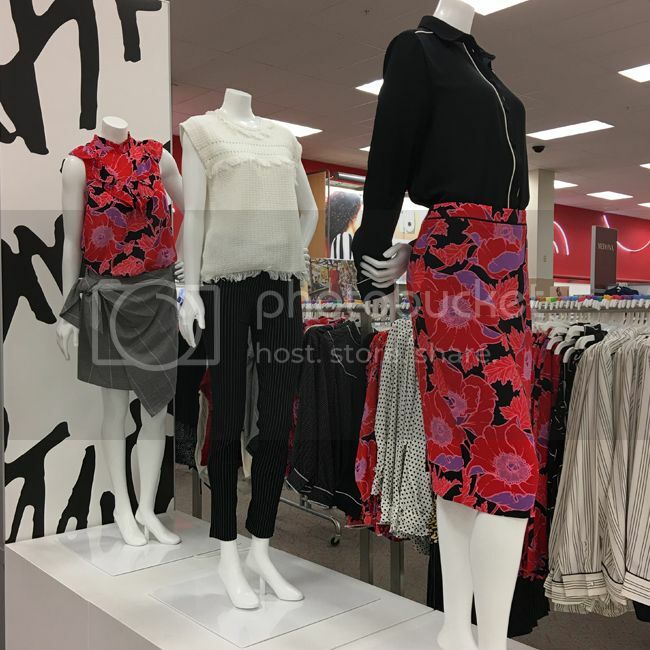 As a frequent Target shopper, I really look forward to seeing the newest arrivals by Who What Wear Collection each month. 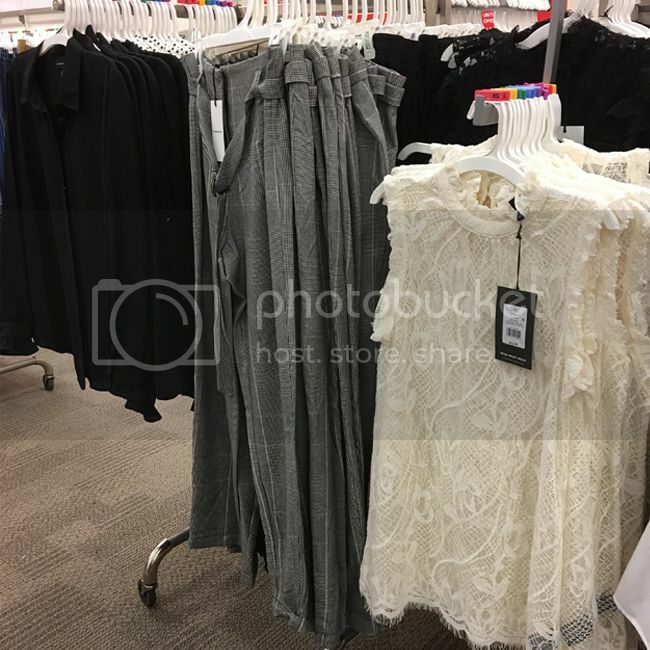 Although the collection has been around for less than two years, it's hard to remember feeling that excited about the Women's apparel department prior to the launch of Who What Wear in January 2016. 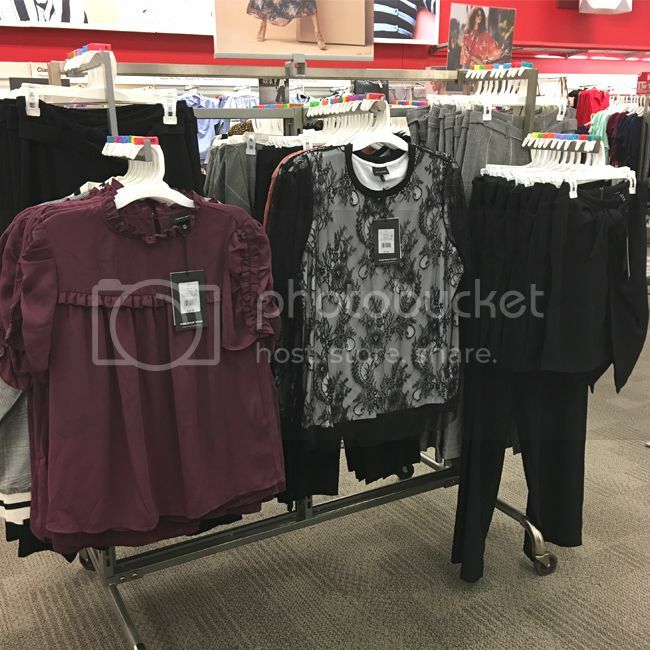 With fashion-forward details, office-appropriate pieces, quality materials, and bold prints, I can count on the line for adding sophistication and femininity to my closet. The fall 2017 collection, which landed in stores in late July, is no exception. October 24, 2017 update - See a preview of the Who What Wear holiday 2017 collection. So what can you expect to see? 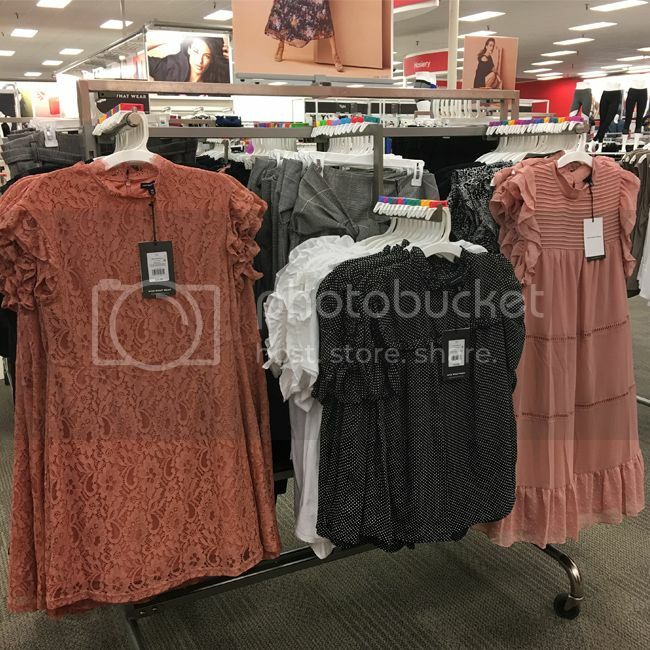 Well, it's a vibrant assortment of ruffles, frills, lace, stripes, polka dots, and polished skirts with a pop of brights (by that I mean red, the key color of the season). 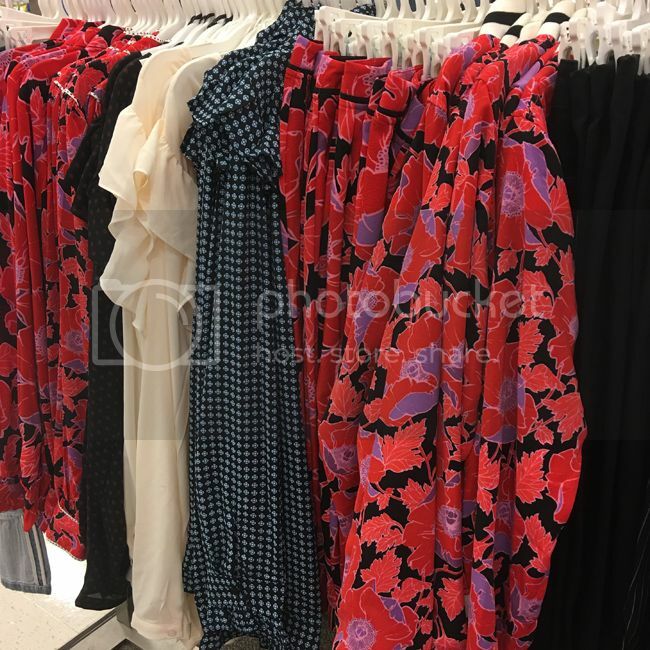 If the red floral print isn't your cup of tea, no worries; there's plenty of black, grey, and white in the collection. Here's a peek at what my store has in stock. The pants above in the middle ($29.99) are pinstriped, stretchy, and slim-fitting. 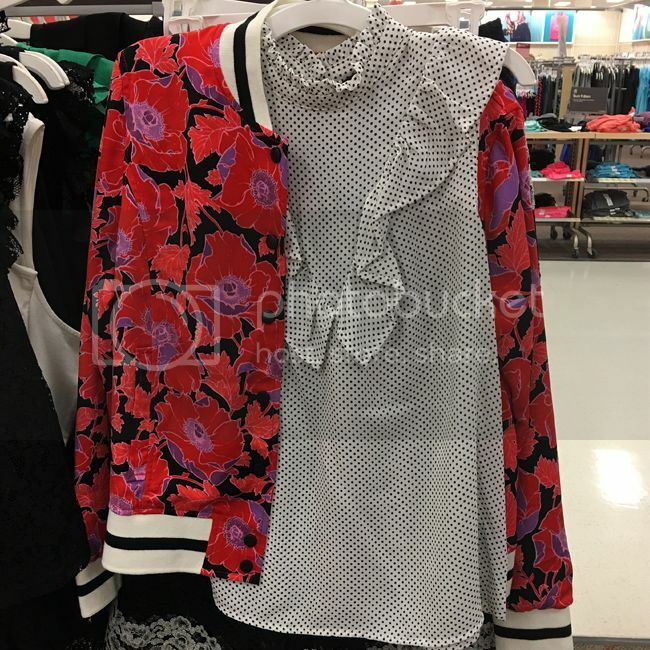 I'm eyeing this snap-front floral bomber ($39.99), which also comes in plaid. The bootcut trousers below ($32.99) have a belted waist, slouchy fit, and chic plaid print. They run high-waisted and true to size. They don't have pockets but they do come in black. Frilly sleeves, lace, and dusty rose are prominent details in the fall line. Here's a look at how I've worn pieces from the collection recently. To see more new arrivals, catch up with me on Insta stories @thekeytochic. This post contains affiliate links and I may be compensated if purchases are made by clicking links.